Study of the Japanese martial art of Aikido is recommended for those committed to the wholesale and unrelenting practice of Agape. As a child, I thought that once an adult I would no longer find myself in danger of violence or physical confrontation. Unfortunately, I have learned, that presumption was simply wrong. Under such a circumstance, if dialogue or departing the scene fails and violence seems imminent, the student of Agape wishes knowledge of a martial technique that serves and supports their larger practice of Agape, not erodes or is inconsistent with it. Unique among manifold martial art styles stands Aikido. 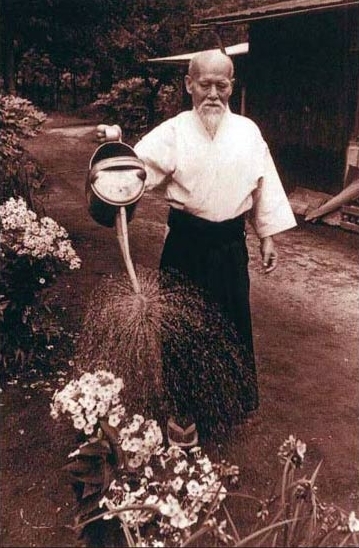 Aikido is peaceful, strictly defensive, and ultimately love-centered; indeed, the founder of this art, Morihei Ueshiba, popularly and historically known as O'Sensei (oh sen' say'), or "Great Teacher," stated that the purpose of Aikido is to assist in bringing together all people as members of one human family. Indeed, when an attacker sees your prowess in repelling their attack and realizes that rather than simply repelling their attack you could have injured or even killed them, yet did not, choosing instead to simply repel their attack with minimum harm to them, the attacker will find themselves disposed to friendship, reconciliation, or contrition. 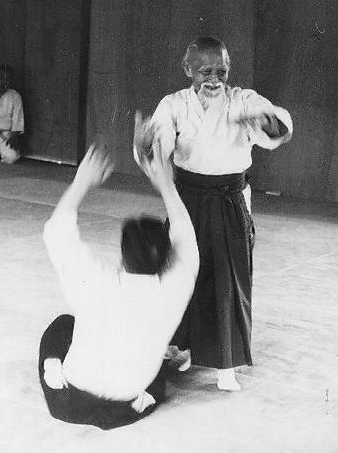 Additionally, study of Aikido will improve your general health and physical condition, and improve your self-confidence. Perhaps most importantly, once you possess such martial skill, you can be certain that love you show to others is rooted in your genuine desire to practice Agape, and not your fear of them. "To injure an opponent is to injure yourself. To control aggression without inflicting injury in the Art of Peace." "Economy is the basis of society. When the economy is stable, society develops. The ideal economy combines the spiritual and the material, and the best commodities to trade in are sincerity and love." �Aikido is not an art to fight with enemies and defeat them. It is a way to lead all human beings to live in harmony with each other as though everyone were one family."